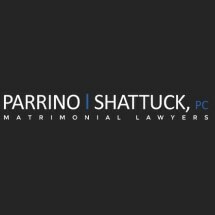 PARRINO|SHATTUCK, PC is a leading family law boutique in Connecticut dedicated to the litigation and negotiation of substantial cases. We deliver the highest quality of legal capability and client service - in equal measure. The firm represents individuals with substantial means in all areas of family law matters, including divorce, alimony, child support, property division, and child custody. Based in Westport, a significant portion of our work is concentrated in Fairfield County, yet our geographic reach often extends throughout Connecticut. We strive to provide an unparalleled level of accessibility and responsiveness to our clients, giving them a sense of stability and security during a turbulent time in life. Litigation is not the only means by which cases may be resolved. Litigation may be a last resort when alternative dispute resolution methods fail. PARRINO|SHATTUCK, PC litigates only cases that must be tried, and we exhaust other strategies, such as negotiation, mediation, and arbitration, in an effort to settle cases. Sometimes litigation is necessary to reach an equitable outcome for clients when settlement is not possible. PARRINO|SHATTUCK, PC does not practice collaborative law as a means of alternative dispute resolution because collaborative law precludes litigation as an available tool and alternative remedy. In collaborative settings, should negotiations fail, the parties must then restart the process and retain new counsel to litigate their differences irrespective of the time and cost already invested in collaborative counsel, potentially costing parties additional emotional stress, time, and great expense. It is to our clients' benefit that we preserve the option of prosecuting claims in court if we are unable to bring a case to a successful conclusion through non-adversarial means.